How does the city’s diverse population cope with death? Q: If not in New York City, Where do you want your remains to be? Artist Ursula Scherrer went to Moroccan restaurant Tagine in Midtown last month to meet a dozen strangers, drink mint tea, eat appetizers and discuss the one thing they have in common: They are all going to die. After her loved ones passed, Scherrer’s thoughts turned toward her own mortality and the fleeting nature of existence. Not exactly cocktail party conversation. So when she heard about New York City’s death cafés – meetings for open discussions about dying, grief, the afterlife and reincarnation -– she decided to attend. 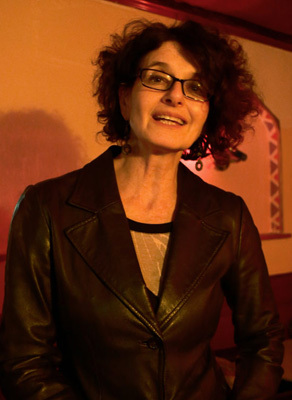 She chose the death café hosted by Audrey Pellicano, a grief recovery specialist, and Nancy Gershman, a “memory artist,” who creates images based on memories of loved ones. 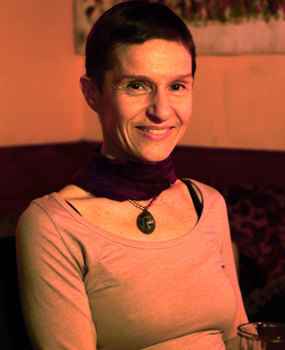 Lynn Nevins, a self-defined spiritualist who grew up in an Irish-Catholic home where feelings were never discussed, has been going to the café for two years. Death cafes are discussion groups for strangers. They drink tea and exchange ideas on mortality. They also help participants who are grieving the demise of a loved one, Gershman said. During April’s monthly meeting, an 80-year-old man and two middle-aged women started talking about the complex relationship between love and death. The conversation quickly turned to the future of human existence. The older man argued that indigo children are the only hope for humanity. New York is not the only city with death cafés. They are part of a worldwide movement known as “Café Mortels,” founded by Swiss anthropologist Bernard Crettaz in 2004. Since the creation of the movement 12 years ago, more than 900 death cafés have met in Europe, the United States, Australia and Asia, according to BBC World News. Scherrer didn’t know about death cafés when her mother and best friend died. But she wishes she had. She found it easier to be candid about her emotions and fears when talking to strangers. Although there are five other death cafés in New York City, Pellicano and Gershman’s, founded in 2013, is the most popular with more than 500 members on Meetup.com. Participants vary in age, intellectual perspective and occupation. 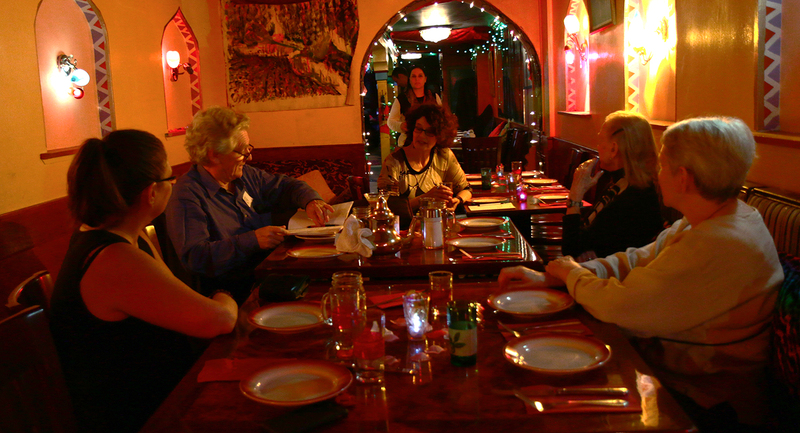 Regulars include anthropologists, academics, chaplains, social workers and end-of-life doulas. This death café is also the only one in the city that follows the international model of no agendas, no facilitators and no guest speakers. Nevins wants to understand what scares people the most about death: Is it missing family milestones? Is it the process of dying? Is it the thoughts a person has when they know death is imminent? Inside a modest two-story brick home in Jamaica, Queens, Jill Meadley lovingly held a framed photograph of her recently deceased Springer Spaniel, Emma. “She was the best dog I could ask to spend 15 years with,” Meadley said. She cleared her throat and dotted her eyes with a tissue. Then she placed the photo back on the mantel next to a marble urn filled with Emma’s ashes. By all accounts, Emma lived a long and happy life before she began suffering from congestive heart failure. The diagnosis forced Meadley to face the hardest decision any pet owner has to make: when to euthanize their best friend. Euthanasia is a mercy killing carried out typically because of a terminal illness or some other debilitating condition. While euthanasia for humans is illegal in all 50 states, it is the way 90 percent of household pets die. Of all the lessons our pets teach us, one of the most difficult to learn is how to gracefully say goodbye. The freedom to use euthanasia comes at considerable emotional cost. Being able to decide the time and circumstances of a pet’s death means learning to live with the consequences of that decision. “I see a lot of patients who are depressed by the decision to euthanize their pet,” said Jennifer Breslow, a licensed psychotherapist. Breslow offers pet-loss grief counseling sessions a block away from Madison Square Park in Manhattan. “Nearly all of my patients admit they made the right decision, but they can’t escape deep feelings of guilt and regret,” she said. 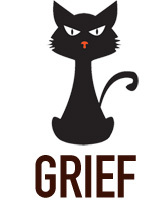 Breslow is one of several therapists who specialize in pet grief therapy in the city. 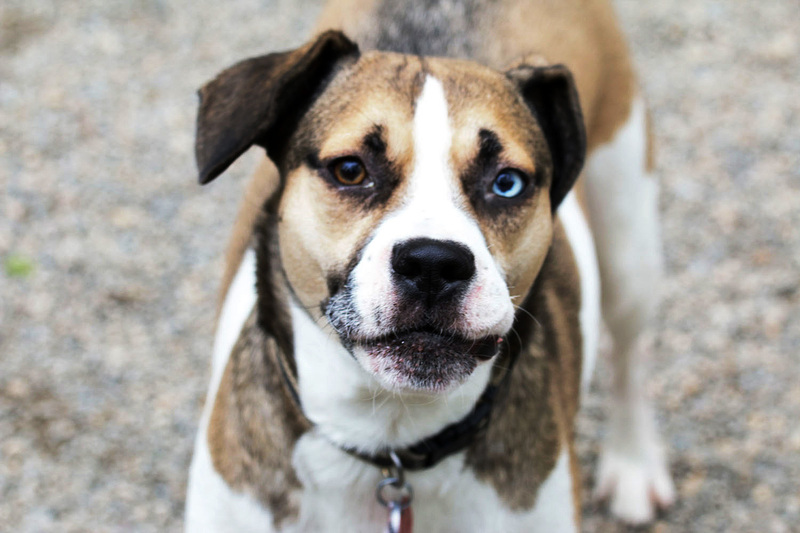 The Association for Pet Loss and Bereavement, a non-profit dedicated to helping people through the death of a pet, lists five pet bereavement counselors in the city. Dr. Wallace Sife, who founded the APLB in 1997, has an office in Brooklyn. Breslow is an advocate of art therapy as a tool to help people work through the mourning process after losing a pet. The Art Therapy Pet Loss Workshop in NYC meets once a month and allows grieving pet owners to confront negative feelings creatively. It’s a path Jim Altieri is on. A few months ago, he euthanized his 6-year-old German Shepard, Duke, after the dog was run over by an SUV. Alteiri rushed Duke to the closest animal hospital, where the veterinarian offered two options: euthanasia or an expensive surgery followed by a long and uncertain recovery. There’s something intrinsically energizing and restorative about art. When we’re trapped by feelings of loss, the prospect of creating something offers an optimistic path to recovery. Ninety-five percent of euthanized pets are cremated, according to Dr. Amy Kurowski of St. Marks Veterinary Hospital in the East Village. “Deciding what to do with the remains, whether cremated or not, helps provide closure,” Kurowski said. Altieri found closure after scattering Duke’s ashes near the dog run at the Chelsea Waterside Park. It’s a place they shared many happy afternoons together, and a fitting spot to visit in remembrance. 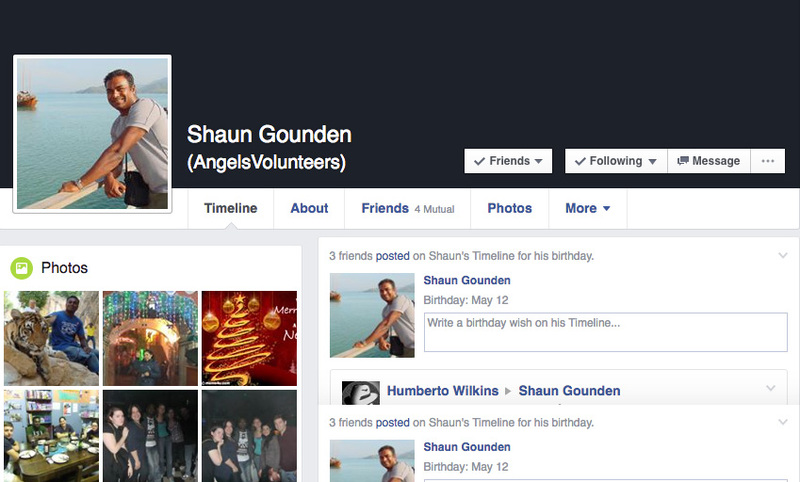 Gouden passed away in 2012, but his Facebook profile remains active. Ten-thousand Facebook users pass away everyday. Almost none leave instructions on what they would like done with their online accounts after they pass, so most leave a digital ghost behind. But while the trove of data we leave behind can lead to complicated questions about the rights of the bereaved to make decisions about digital personas, what we leave behind can also allow our loved ones to pay their respects and remember – anytime and anywhere. Even though it is painful for Wilkins to see Gounden’s profile, he still leaves comments. 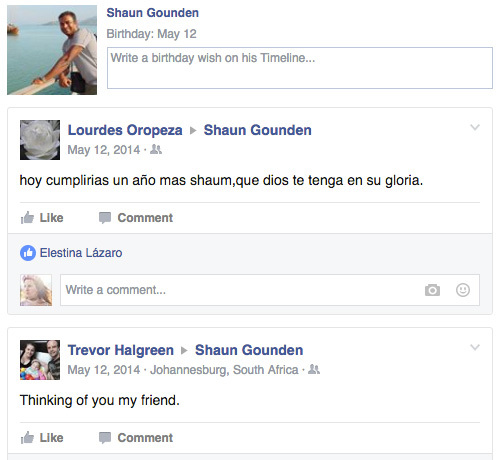 Since Gounden’s ashes are in South Africa with his family and Wilkins lives in Peru, visiting his Facebook profile is much easier than visiting his physical resting place. “I think it can be a cyber tombstone where people can pay their respects and visit more often than they can an actual cemetery,” said Edith Estrella, a 32-year-old Bronx native and friend of Gounden’s. But often, family members want to do more than just visit a person’s digital remains. They want control over them. Social media sites have their own rules governing the release of photos and other online content to family when users die. 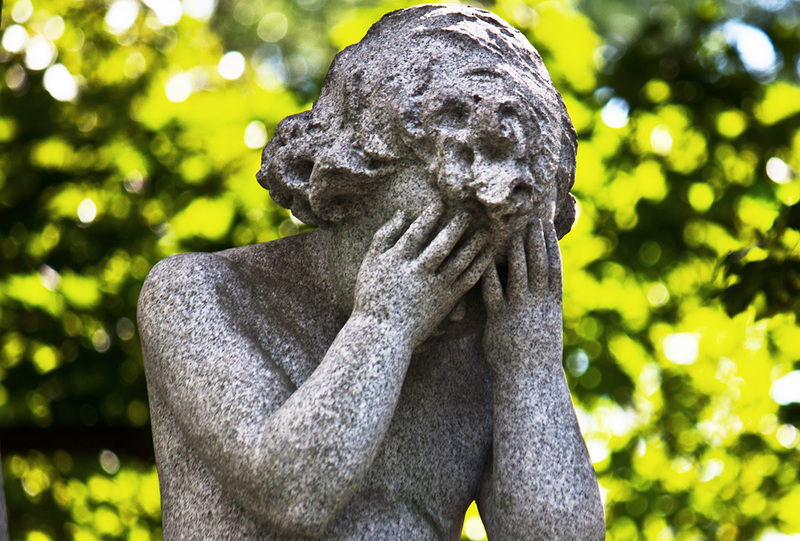 Instagram does not allow friends and family to memorialize or even delete the account of a deceased user. Neither will it allow them to access or download photos directly from the site. In order to permanently delete a deceased Facebook user’s profile, immediate family members need to send a death certificate or obituary to Facebook. According to Evan Carroll, public speaker and co-author of “Your Digital Afterlife,” less than 40 percent of Americans have a will and only a tiny percentage of those wills mention social media content. “Just because you have digital assets doesn’t mean your family will be able to access them,” Carroll said. There are companies that specialize in handling social media after death. DeadSocial.org is a small company that provides tools and support for those “who want to bring digital lives to a managed and controlled ending.” The company offers a legacy builder, which allows clients to send a final online goodbye to family and friends. The company also provides resources for those who want explanations on closing social media accounts and obtaining media from accounts and electronic devices. “On Facebook I have set up my sister and my husband to be ‘caretakers’ of my account if I were to pass away,” said Karin Robinsantos, a 26-year-old community operations manager at Uber from Boston who posts to Facebook, Instagram and Snapchat once every two days. As social media continues to be an increasing part of how people document their lives, there needs to be more of a conversation about what happens to the content we leave behind, Caroll said. Even if the topic of death is unpleasant, social media has changed the role the deceased play in connecting people. The End was produced for the CUNY Graduate School of Journalism‘s NYCity News Service under the guidance of Judith Watson and Christine McKenna.